The Guys once again filmed for the next season of Paranormal Survivor!! 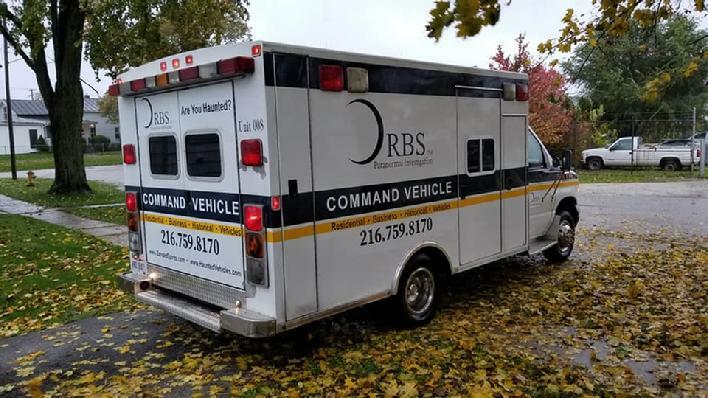 OHIO RESEARCHERS OF BANDED SPIRITS (O.R.B.S) IS A SCIENTIFIC BASED RESEARCH TEAM THAT VALIDATES THE AFTERLIFE BY CUTTING EDGE METHODS. WE LOOK AT 3 MAIN CONCERNS: ENVIRONMENTAL, MENTAL STABILITY AND THE PARANORMAL ASPECT. WE UTILIZE OVER 30 YEARS OF EXPERIENCE IN THE PARANORMAL ALONG WITH A BACHELORS IN PSYCHOLOGY TO HELP OUR CLIENTS. NOT ONLY DO WE USE THE MOST STATE-0F-ART EQUIPMENT WE ALSO TAKE PRIDE IN DESIGNING OUR OWN FOR RESEARCHING THE OTHER SIDE. WE PROVIDE PARANORMAL RESEARCH, CONSULTATIONS, SEMINARS, PUBLIC HUNTS AND PRIVATE INVESTIGATIONS. WE ARE THE ONLY TEAM THAT RESEARCHES NOT ONLY RESIDENCE, BUSINESS AND HISTORICAL LOCATIONS BUT VEHICLES. WE ARE CURRENTLY DOING TRIALS WITH AN 1877 EDISON PHONOGRAPH AND HAVE THE IDEA OF CAPTURING EVP WITH IT. OUR SERVICE IS ALWAYS FREE. WOULD YOU LIKE TO SEND US A LETTER? Within the O.R.B.S. website you will find stories, EVP sound files, pictures, video, current investigations, future investigations, haunted locations, and personal accounts.